Malta's Parliament will for the first time in history have a total of 71 members after an Appeal Court this morning confirmed a Constitutional Court decision granting the Nationalist Party an additional two seats. The Labour Party will not, however, see a reduction in its number of seats. The judgment delivered by the Superior Court of Appeal in its Constitutional jurisdiction confirmed the decision of the First Hall of the Civil Court granting the PN the two extra seats and laid down an effective term of one month for the remedy to be implemented. 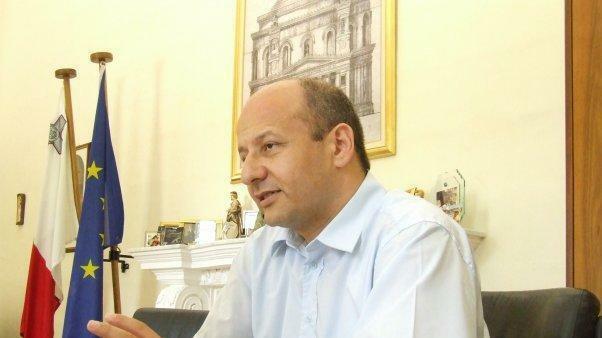 It follows a 2013 general election voter miscount and will see Mosta MP Edwin Vassallo returning to Parliament, together with another candidate. The other new MP may have to be co-opted. This morning, in a packed courtroom with a highly charged atmosphere, the court, presided by Mr Chief Justice Silvio Camilleri, read out the salient parts of the judgment reached by a panel of three judges including Mr Justice Giannino Caruana Demajo and Mr Justice Noel Cuschieri. The court declared that it agreed with the judgment delivered by Madame Justice Lorraine Schembri Orland last May which had concluded that owing to a proven mistake in the electoral process, which mistake was not remedied, the electoral result was directly in conflict with a vital and determining principle of the Maltese democratic system and in violation of the European Convention. "The principle of proportionality must be reflected in the first preference votes cast by the electorate and the number of seats that are ultimately allocated to the parties respectively ", the court declared. Soon after the decision was given, Prime Minister Joseph Muscat tweeted that he was deeply disappointed with the ruling but would respect it and implement it. 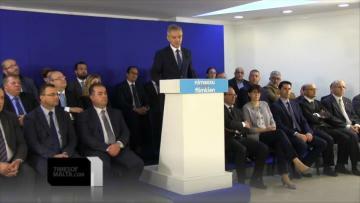 And Opposition leader Simon Busuttil said that justice had finally been served and the people's vote would be represented in Parliament after almost four years. Finally! After almost 4 years, justice has been served and people's vote will be represented in Parliament. Is-sewwa jirbah zgur! Gozitan Labour MP Franco Mercieca tweeted that a dangerous precedent has been set as any party losing an election could contest the result in court. Nationalist MEP Therese Comodini Cachia tweeted that justice has finally prevailed. The entire saga had stemmed from two mistakes committed in the course of the vote-counting process following the 2013 general election which, the Nationalist Party insisted had cost it two parliamentary seats. It was stated that PN candidates Claudette Buttigieg and Frederick Azzopardi had failed to be elected from the 8th and 13th districts respectively on account of these errors. Moreover, the difference in parliamentary seats would have amounted to seven rather than nine. Partially revoking the first judgment, the court pronounced the two Nationalist candidates as lacking the necessary juridical interest in the suit and observed that both Ms Buttigieg and Mr Azzopardi had eventually been elected albeit by a different route. It threw out the Gozo case but awarded two seats to the PN as a mathematical correction. These, it said, had to be granted to the appellant within one month from today's judgment. However, this addition was not to effect the validity of all decisions taken by Parliament to date. It was still unclear how this remedy is to be effectively implemented since the court did not pronounce itself in this regard. It is up to the government and the opposition to agree on the way forward. He called today's court decision a win for democracy and justice and said that Prime Minister Joseph Muscat did his utmost to prolong the process. Dr Busuttil said that even though almost four years had been lost, the moral victory of the court sentence was greater. He said that in four years, the government's majority had been cut from nine seats to five. He announced a rally at the PN's Pieta headquarters to celebrate "today's victory". Addressing a press conference, Justice Minister Owen Bonnici said the government was disappointed by today’s judgement but it would respect the decision and ensure that it was implemented. He said the government had presented strong legal arguments in court that the general election results should be respected. Dr Bonnici said that nothing would change the fact that the government won the election with a 36,000 vote majority. The Justice Minister said the government enjoyed support from the absolute majority of people, and would continue with its legislative programme. Tourism Minister Edward Zammit Lewis repeated that the government was disappointed, but would let the independent institutions do their jobs without any intrusions or pressure. He reminded that Dr Busuttil had accused the government of elongating the process. Dr Zammit Lewis said that today’s court sentence proved the government was right to appeal, as the court had changed what was said in the original sentence.